The marriage between the Left and Congress is on turmoil. From the day one of the marriage proposal, it sounded as an inconvenient wedlock. 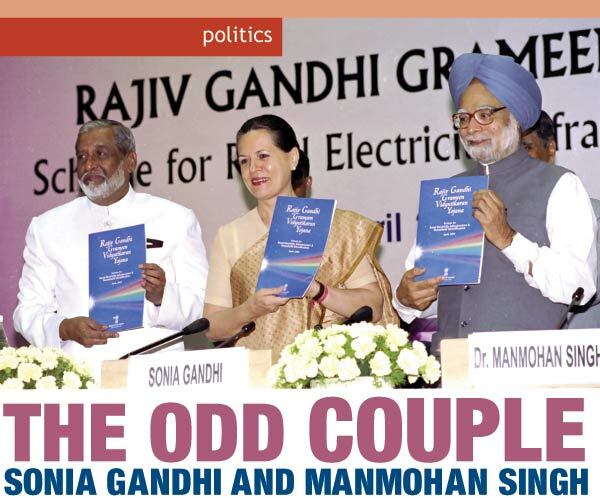 Still Dr. Manmohan Singh, Sonia Gandhi and their Grand Old Party managed to lead a life. They postured in public decently and did not reveal the internal disruptions in the married life. After three and half years of this turbulent marriage, the greatest of all errors has occurred. An illicit affair of the Left with the opponents of the Congress is coming to the surface. Hob nobbing of the Left with Samajwadi Party, Telugu Desam, Indian National Lok Dal and Asom Gana Parsihad clearly states the dirty moral life lead by the Left. Although this may be politically correct for the Left’s future it violates the coalition dharma. Only for this kind of double standard life, the Left had opted for the support to the UPA government from outside. Calling the Prime Minister and his policies as futile and debunking all the programmes as anti people, the Left is in fact expressing in public about the fault lines in the marriage. The blame is put on the wrong side. Despite enjoying all the benefits of the marriage the Left is violating the minimum level of marital responsibility. Now it is high time for the Congress to divorce the Left and go for fresh elections. The Congress came close to this stage few weeks back. Sonia Gandhi’s public condemnation of the Left at a rally in Jhajhar after unveiling a power station gave the lead to the divorce. 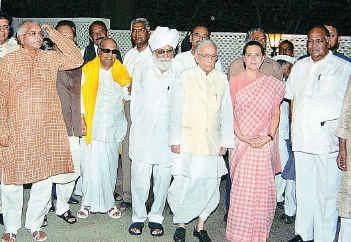 But the murmurs expressed by the allies of Congress like NCP, RJD and DMK stopped the break up in the UPA relations. The Insurance Regulatory Authority Bill, SEZs, Foreign Universities Bill, Forests Act, the Indo US Nuclear Deal and almost all the constructive proposals mooted and put forward by the UPA government were blocked by the Left. While opposing these legal constitutional provisions and external collaborations at the pretext of the national interests, the Left had next government formation at its back of the mind. In every breadth of its opposition an image was created that the Left stands for the safeguard of Indian sovereignty. But the past record of the Communists does not have an inch of sovereignty safeguard credibility. It is the same old political force that opposed India’s freedom, supported Chinese aggression in the 60s and stood on the way to the nation’s march to modernity. After a complete public rebuttal in most parts of the country for its anti-development and anti-modern attitude of the Left it was lying low for few years. Now with the young and aggressive leaders in the forefront, the red shirt warriors are once again masquerading as the pro India development politicians. It is the high time for Congress to take stock of the situation. An overall analysis of the coalition partners and their crucial role tells two important factors at this stage. The Congress is trying to cobble a coalition where the majority of the leaders have Prime Ministerial ambitions. This was expressed both directly and indirectly by the supporting heads of the parties. It is an open secret that Sharad Pawar and Lalu Prasad Yadav the regional leaders from states with big numbers of MPs have P.M chair occupying dreams. The DMK patriarch is nursing this dream as a closed secret after G.K. Moopanar’s very close reach to the P.M chair in 2006. The successful P.M crowning of Deve Gowda and I.K. Gujaral have sowed the P.M dream seeds in the minds of few numbers holding party leaders in the parliament. “Anything is possible” stage had arrived in the Indian central politics in the post liberalization phase. With this kind of immoral and backstabbing opportunists Congress cannot have a future. Either it will be permanently made as a dependable party on the regional forces to run a government at the centre or it will be wiped out as the pan Indian political entity. Currently the major parliamentary seats holding states are out of the Congress hands. Uttar Pradesh (80), Bihar (50), Maharashtra (48), West Bengal (42) and Tamil Nadu (39) tell us the inability of the Congress to work out permanent solutions to its problems. It is dependent on its allies for a sizeable share in these major states. With the miraculous victory of BSP in U.P assembly elections a new headache has started for the grand old party. Mayawati has vowed to introduce her victorious U.P experiment in other states. Even if she managed to win 20 parliamentary seats outside U.P the Congress will face a historical challenge to its political existence. To take the party ship out of this perennial cyclone, the Congress should work out few long term fixations. It is not just enough to shout slogans like “Hamara hath aam aadmi ki saath”. The first step in this direction is to get rid of its sycophancy culture in the party management. There is a feeling of isolation among the hard working cadres and workers with strong ideological roots. A complete objective handling of the party is a must. The present party managers are too hierarchical and suspended from the ground realities. As long as this trend continues there is no hope for the Congress to come to the central power on its own. In the summer of 2004 in a roundtable discussion on India’s development organized by the PIOs of Sri Lanka a question was posed to me. How are you managing with the super Prime Minister Sonia Gandhi in India? This question in Colombo was unexpected. After objecting to that media news bitten PIO’s statement, I elaborated the pragmatic approach of Mrs. Gandhi. I detailed out the free hand given to the Prime Minister Dr. Manmohan Singh. After two years of the bitter argumentative pill given by a PIO, I am compelled to reconsider my position about the UPA government and the Prime Minister. It is not that Mrs. Sonia Gandhi has upped her ante and made the transnational rumor a reality but the dismal performance of Dr. Manmohan as the head of the government is troubling the governance watchers. The cold retreat from the Indo American nuclear deal has exposed his government driving. The nuke deal’s failure after Left’s noisy opposition and the mid term poll unpreparedness expressed by allies like DMK, NCP and RJD compelled the P.M to freeze it. Every pre poll prediction points toward the slight improvement in the tally of Congress and the decimation of its allies in Tamil Nadu, Bihar and Maharashtra. It was the nervousness of Congress coalition partners which forced the withdrawal of nuke deal talk. Rightly Dr. Manmohan snubbed the Left regarding the need for atomic power to sustain the above 9 percent growth. In pulling down the double standards of the Communists the P.M adopted an unbelievable courage. What is next is the big question? First of all the nuclear deal with USA was wrong. Without initiating a full-fledged debate in the Parliament and its green signal the P.M went ahead with it. Apart from this single issue controversy, he failed to deliver his promises given to the nation after swearing in as the parliamentary leader of the entire nation. To reform the bureaucracy and plug the loopholes in the delivery system was the first assurance in his reform agenda. Three and half years in the highest authority not a single forward movement has been taken in this direction. There is no coherence and coordination among his cabinet colleagues. The UPA is like a derailed bogey slipping away from the track in different directions. The worst sufferer in this silly game played by ruling alliance is the public welfare. To escape from the wider criticism it is common for any member of the government and the Congress party to mention the higher allocation for socially sensitive sectors like education, health, agriculture and rural development. Yet the increased money for program is to demonstrate the improvement in the living standards of the poor citizens. If the quality of life for the BPL category had gone up in the last three plus years there is no need for Congress to worry about facing the public for votes. Why should it bring back thirty years old slogan “Garibi hatao” in 2007? The atmosphere in 24 Akbar road in New Delhi is full of doom and gloom. There is no surety feeling among the Congress leaders and cadres to improve the present tally of 143 to a dramatic level. Again there is an unanimity that the Congress cannot secure majority on its own. So the words of non Left alliance partners are paramount for the grand old party of the country. Even after the full term the situation will be the same if Prime Minister Manmohan Singh is not going to shed his dummy image and start delivering better for the most neglected sections of the society. The Indian diplomacy is full of uncertainties. Despite possessing brilliant and clear cut foreign service officers, it suffers from multiple injuries. An investigation into the causes for the repeated failure of the diplomatic missions tell a true tale. There is a tight control of the political class over the day to day diplomatic functionings. In order to make the crucial department of the government efficient it is important to provide them the required teeth. With the continued iron grip of the impractical politicians the diplomatic community persists to carry the futile tag unnecessarily. One is confused over who will clear the mess? The failure of P. Chidambaram to get elected to the Chairpersonship of IMF steering committee, withdrawal of Somath Chatterjee half way from the election of the Inter Parliamentary Union, defeat by South Korea in the bid for 2016 Asiad games, historic exit of Shasi Tharoor in the U.N Secretary General contest, continuous failure to secure the permanent seat in the United Nations Security Council point towards the colossal defeat of the Indian diplomacy. The full throated international voicing on any and every issue happening around the world has not given India yet a single mileage in the international arena. Impractical and highly emotional handling of sensitive matters have backfired in the past. From over trusting Chinese government in the fifties to offering unsolicited support to the USA in the post 9/11 phase, the Indian diplomacy has travelled a long unlearnt journey. When the Indian government was on the high pitch elevation and shouting Hindi Chini Bhai Bhai! the Chinese were secretly building barracks in the Indian territory. All the good intentions of striking a good rapport with the neighbhour evaporated when the Chinese army intruded and captured miles of north eastern part of India. This was the first rude shock for the peace loving nation with the pigeon holding Prime Minister Pandit Nehru in the sixties. Then the Pakistan army continued to pose formidable challenges militarily in the northern most tip of the country. While it is attempting to shake and break the territorial integrity of India through hard and soft means, it is also speaking the language of peace on the other end. A historical analysis of the Indian diplomacy projects a dismal picture. To turn around the bad situation into a fruitful progress, certain measures are needed urgently. One, total autonomy should be provided to the diplomatic community to identify and address the crucial international issues. Two, no undue interference of the political class in the micro foreign policy management issues should be encouraged. Three, no emotional overtones while dealing with sensitive foreign policy matters. Four, media and public relations management of the diplomatic circuit should be strengthened. Five, an independent committee of experts on foreign policy matters with ex officers, academicians and public representatives should constantly monitor and guide the existing set of functionaries. Regular refresher courses and upskilling of the officers need to be conducted to keep the diplomats abreast with the changing reality. The onus is on the Indian government now to upgrade its human resources management in the diplomacy circle to achieve a honorable position in the comity of nations. In the absence of an efficient management of the foreign policy, India will continue to suffer from defeat after defeat. A total pragmatic approach is the prerequisite to succeed in the highly competitive world. From winning a UN seat to achieving a global position in the trade to bidding for Olympic games host to securing the terrorists sitting across the border, the Indian diplomacy needs to charge up. Abandoning the knee jerk attitude is the first step in the direction of achieving a sounding success in the diplomatic front. Aam aadmi rhetoric mongering UPA government is committing sin after sin against the commoners. The liberal import of wheat when the local granaries are overflowing is the recent case in point. Unfortunately there is not a single soul in the power corridors to take the responsibility to explain the reason behind the wheat import. The man responsible for the explanation – union agriculture minister is busy in cricketing and politicking. The crimes are committed at multiple levels. One, higher prices paid to the imported wheat. Two, lower MSP to the wheat producing Indian farmers. Three, the quality of the imported wheat is inferior and beyond human consumption. Four, a large scale of the PDS wheat is stolen by the vested interests in connivance with the government authorities. Five, no seriousness and sincerity among the concerned people to adequately explain the motives behind the wheat import. 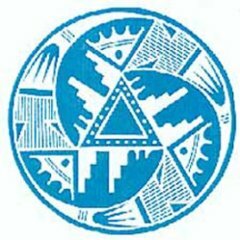 The State Trading Corporation (STC) had floated three global tenders to import nearly 15 lakh tonnes of wheat at a maximum cost of USD 389.45 and a minimum cost of USD 263 a tone. Surprisingly the low cost tender was cancelled and an exorbitant amount was paid to import 12 lakh tonnes of wheat. This higher price payment tells the naked truth. The wheat import was to benefit certain individuals and parties. Clearly the aim is not to uplift the poor people. On the other hand the national food grain production has gone up to 209.32 million tonnes which is 4.71 million tonnes higher than the previous year’s production. Out of this the wheat production was 74.89 million tonnes which is 5.65 million tonnes higher than the previous year’s production. There are 101 million tones of wheat available in the central pool as on 1 October 2007. Why the government is reluctant in procuring wheat from the local farmers? What is the harm in giving better prices to them? These questions need immediate answers. Under the cover to help the poor, the government is destroying their lives. Either they are suffering with the poor quality of food grains supplied or not delivered the subsidized products at all. According to a report by The Times of India, Rs. 32,000 crore worth of food grains were stolen in the last three years. Except 12 states, rest of the country faces the large-scale diversion of PDS for private profit. Not a single grain of wheat reaches the targeted poor people of North eastern states. This region’s problems are compounded with terrorism, corruption and lack of physical infrastructure. Liberalising the food sector is an essential step to prevent the pretentious actions of the state. 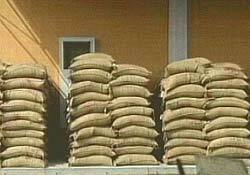 The mill owners should be allowed to import food grains directly. They should be given import duty concessions and all technical assistance. The government can serve the poor better by withdrawing its good intentions but bad outcome programming. The sooner it is done the better the food security of the nation. The agriculture ministry should be the starting point of this noble Indian mission. A natural wealth paradise in the south East Asian region is burning continuously without any external help. Myanmar is a country with abundant natural resources like forest wealth, gas, gems, and rice. With thousands of years of rich cultural heritage today the nation is in complete turmoil. For the past two decades the military is running the government. Commonly called as Junta, the military dictatorial setup is devastating the nation completely. Due to several reasons, the world is watching silently the situation in Myanmar. Geographically it is not possible for the big nations to take any action. Those who share border with the troubled Myanmar are dependent on the military rulers for trade and business. China is cozying with the junta for cheaper gas imports. India is not making much noise against the crackdown of the military on the pro democracy movement demonstrators because of the firm handling of ULFA militants on the border by the Myanmar establishment. To strengthen energy security India also trusts its neighbor on the eastern fringes for gas. Thailand is already suffering from the military rule. In these circumstances there is no possible and positive assistance rendered to the suffering public. Thousands of Buddhists monks have been on the streets for the past one fortnight against the military rule. It seems that the junta is cutting down the grants given to the monasteries. The meteoric rise of prices of essential commodities and the atrocities perpetuated by the ruling establishment on the common people have infuriated the sadhus. Combined with all these complexities the shift in the capital city from Yangon to Pyinmana is unifying all the troubled people of the country. The United Nations had sent its emissary Ibrahim Gambari for a discussion with the Junta and Aung San Suu Kyi the leader of the democracy movement. It took days for him to reach out to the house arrested popular leader in the country. Unless and until the tortured commoners of Myanmar are rescued and rehabilitated the ethical dimensions of the international community will go futile. Watching millions of innocent people brutally attacked everyday is not desirable from the high decibel noise making peace makers of the world. There cannot be two rules for the big nations. One to attack the empty nation like Iraq and the other to watch the poor country like Myanmar being devastated. The economy is booming, education is sky rocketing but the social mindset of the Indians is archaic. The age old categories like caste, class, gender and religion are still dominant in defining the cultural ethos of the fast moving Indian society. This is very central to the several prevailing social problems. The brutal murder of Rizwanur Rahaman a graphic teacher in Kolkata last month reiterates the dangerous trend. He is a Muslim boy from a lower middle class family from the city of joy. The crime of this innocent young man is to fall in love with Priyanka, a Hindu girl from a millionaire’s family. The love ended in a registered marriage. The religious and class variations between the bride and groom’s families did not allow the former’s parents to digest. In the police station, Priyanka the daughter of Ashok Todi who owns million dollar Lux Hosieries firmly told that she got married to Rizwanur willingly. Using all the social and political connections, Ashok Todi made the police to file an abduction complaint despite the prima facie evidence was different. After understanding the complexities the police expressed their reluctance to proceed on the case. At this stage the criminal minds of the father and police worked in the murder angle. Within few hours they killed the 30 year old man and thrown him on the railway track. A suicide tag was given to the broad day light murder. Initially the human plea of the family of the deceased went unheeded. When the media reported the cruel incident the news spread across the state. Sooner the government came under pressure to investigate. Now the CID investigation has been ordered and a special judge will probe the matter. This is not an odd tragedy happening in Kolkata alone. Day in and day out one can hear such sad stories across the country. Few months back a Haryana village panchayat had ostracized a couple for the same gotra marriage. A couple was stoned to death in Uttar Pradesh few months back for inter-caste marriage. It is a sociological curiosity to examine the quantum of such cases. If the research finding points out to a trend in the increasing opposition to inter-religious marriages then there is a least impact of education on the social mindsets of the people. So far there is no nationwide study to explore the correlation between religion, caste and marriages. Although the inter-caste marriage is common now than few decades back, inter-religious marriage is a taboo. Especially that between a Hindu and a Muslim is considered a crime. If one crosses the religious angle, caste factor the class is the crucial blocking hurdle. Even if one fulfills all the criteria except the class then the trouble is big. This is more evident from the everyday social disputes arising from the inter-class marriages. The wealthy side of either bride or groom comes as a major blockade for the marriage. Despite stringent laws allowing the people above eighteen years to decide upon their marriage, the government machineries are dead slow in responding. The innocent youth who understands only love are prevented from realizing their dreams because of the social factors. 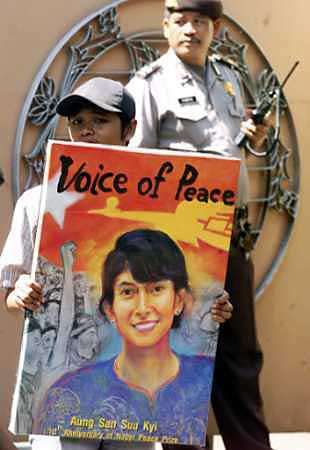 The police and other crucial State players go against the affected people.